In memory of the veterans of foreign wars who died in war and were residents of Pflugerville, Texas. 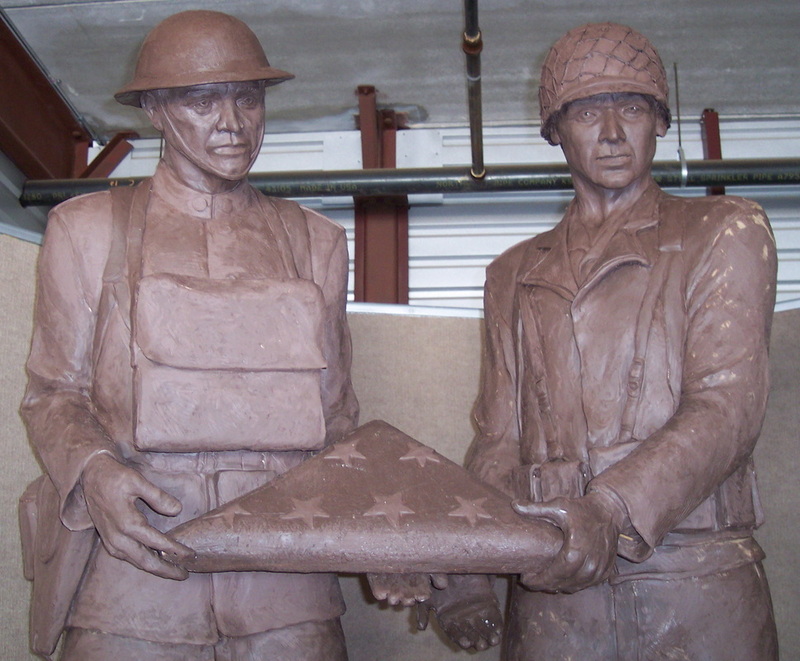 The life-size sculptures representing the WW1, WW2 and current United States soldiers in combat areas were placed in Pfluger Park with a backdrop of granite engraved with the names of the fallen. 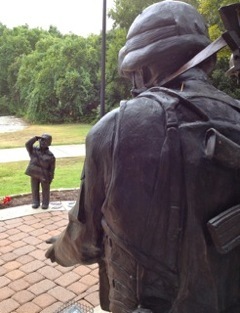 A sculpture of a child saluting the flag was added to the bronze grouping during a recent rededication ceremony. 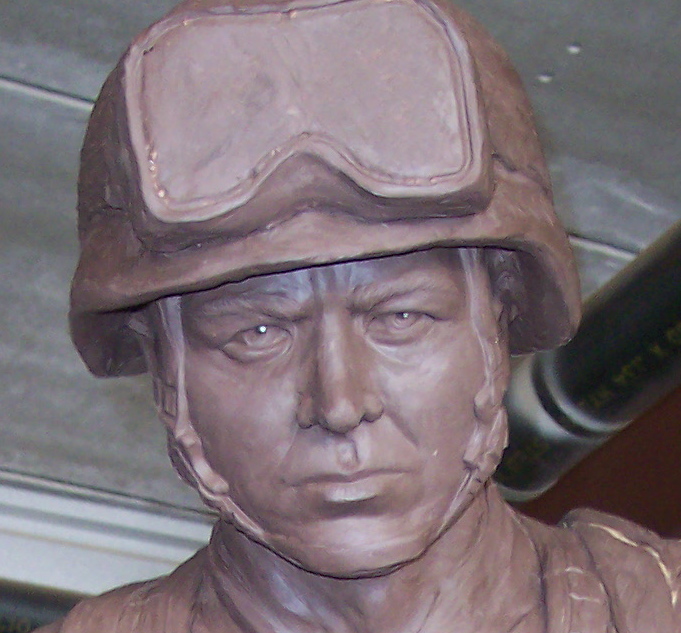 A picture taken of the artwork while still in clay in production.